1. Last week we bought the best strawberries from the grocery store. They were insanely plump and juicy and sweet! I didn't do anything special with them, except eat them straight from the container. However, next time I get some, I'm going to have to try one of these 20 Healthy Strawberry Recipes from Cooking Light! 2. If you follow me on Instagram, you know my favorite photography subject is little Miss Brecken! I've had to delete hundreds of photos off of my iPhone to make room for more Brecken pics, and while I love the convenience of pulling out my phone to snap a photo, I also try to be intentional about getting out my "real" camera to get higher-quality photos. This blog post on Tricks for Photographing Babies inspired me to change things up next time I'm photographing Brecks! 3. My sister-in-law Erin recommended I read Dinner: A Love Story, so I picked it up from the library a few weeks ago and read the entire thing in 24 hours. 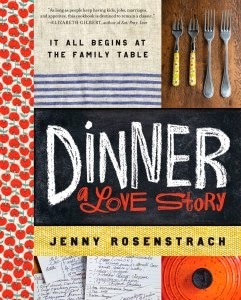 Though I didn't read Jenny Rosenstrach's blog of the same name (I do now! ), I was familiar with her column in Bon Appetit magazine and always enjoyed it. The book is just a gem--part memoir, part cookbook, and part "how to get your family to eat dinner together", I loved it all! 4. It's the time of year when pesto is all the rage, with everyone's basil plants blooming like crazy. 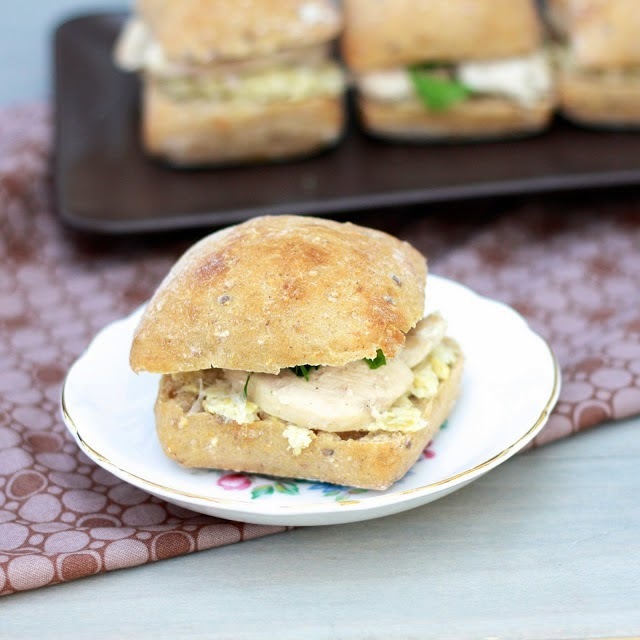 I love a traditional basil pesto as much as the next person, but might I recommend you try these chicken sandwiches with artichoke pesto?! I plan to make these again soon--so good!